Preparing for the holiday meal can be stressful. Having your kitchen ready with products designed to make your dinner preparation a breeze will take the stress out of the perfect holiday meal. 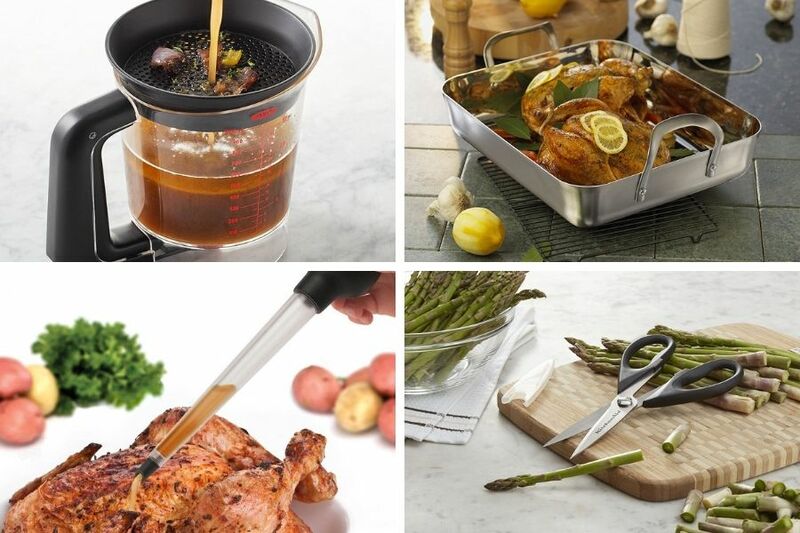 Whether you are baking the family favorite pie or cooking the turkey, the right kitchen utensils and tools are a must. Start slow and purchase one or two items a year and before you know it, you will have the right tools for every dish. My mother and home-ec taught me how to cook and over my many years of cooking, I have learned from my own mistakes and triumphs. I love to follow recipes, but my mother cooks and bakes without recipes. Her homemade biscuits are the best and I have yet been able to replicate them. Now my son is becoming a fine cook and I always look forward to the meals he prepares. He cooks some of his meals from Julia Child’s cookbook Mastering the Art of French Cooking. Now that cookbook is a little extreme, but for some, it’s a great place to start. I haven’t had my son’s Baked Alaska yet, but I hear it is to die for! The movie Julia & Julia is a great movie about Julia Child’s life. Worth the watch. I do have a claim to fame when I entered my first cooking contest with a simple bar recipe 2 years ago and won 2nd place! I was told later that I beat out a National Betty Crocker winner. That recipe may have been simple but to the judges, it was a chocolate delight. All the items listed below are a must for any bakers kitchen. 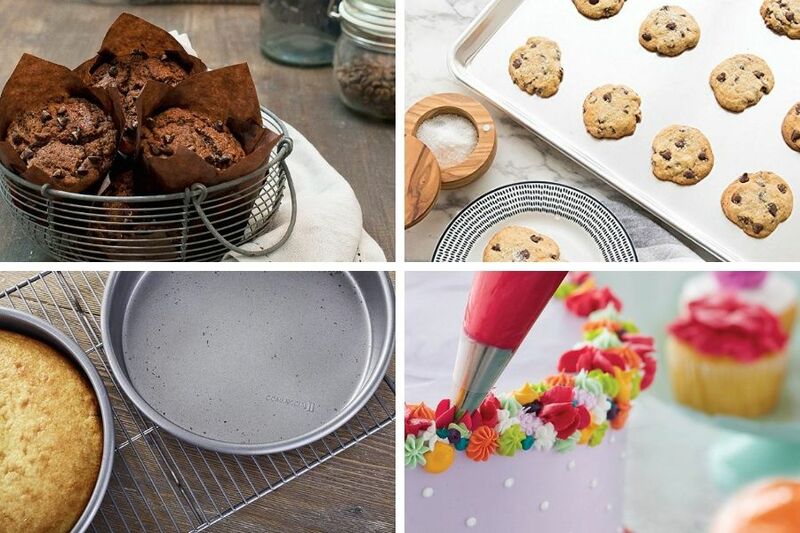 If you love to bake or just starting out I would suggest having large glass mixing bowls, cooling racks, cookie sheets, spatulas, and round cake pans to be your first purchases. I use large cookie sheets for so many things while I am cooking or baking. I even have a couple of really bad looking cookie sheets I would never bake on, to use for carrying things outside when we BBQ. Cooking is anything that isn’t in the baking category. What’s the difference between cooking and baking? Baking calls for precise measuring and is a science. Ex: When you add salt in cake recipes it is there to enhance the flavor of the other ingredients or it controls the fermentation rate of yeast in bread. You can see in baking salt is important but in cooking, you can take it or leave it and it won’t ruin a recipe. I definitely cook more than I bake because of that reason. I do have a few baking recipes I love to make over and over. But, when it comes to baking good pies and cakes, I leave that up to the seasoned family professionals (my mom and her sister). The items listed below are definitely for holiday cooking but the roasting pan is used for so many other large meat cuts. My suggestion for your first purchase is the potato masher and kitchen shears. My favorite cookbook is the Better Homes and Gardens Cookbook. Its been around since the 1930’s and has been the #1 selling cookbook ever since. I have my great-grandmothers 7th edition version and the latest BHG cookbook is in its 16th edition. I love that classic red and white check ring binder cookbook. My suggestion to any new cook is to take it slow. Keep trying more difficult recipes and learn. Cooking is an art and baking is a science, but your family will really appreciate a home cooked meal from scratch much more than from a box or restaurant. It is like anything else you need to do if you don’t have the correct equipment well it just won’t work or turn out the way it is suppose to be. Start with right tools. Oh man, I’m so glad I live by my parents now so we split everything. I used to have to do it on my own, and I hated it. I am not a fan of cooking to begin with. this is SUCH a great idea- esp bc we are hosting our first thanksgiving with family and im getting really overwhelmed- i love the idea of splitting to make it easier! Tammy, that is my favorite cookbook! My Grammy bought me the child’s version (which I still have!) and I made every recipe in it. Great post, learned tons! The Betty Crocker cookbook was my first cookbook. I agree that it is best to have all the items on hand for preparation ahead of time. It makes cooking so much easier. I have to buy new baking pan for this coming holiday. This year we are expecting a big family get together at home. I am freaking out a little bit but your guide makes me feel everything is under control if you make list by now. In any family gathering, it’s all about the food. More so, the desserts! 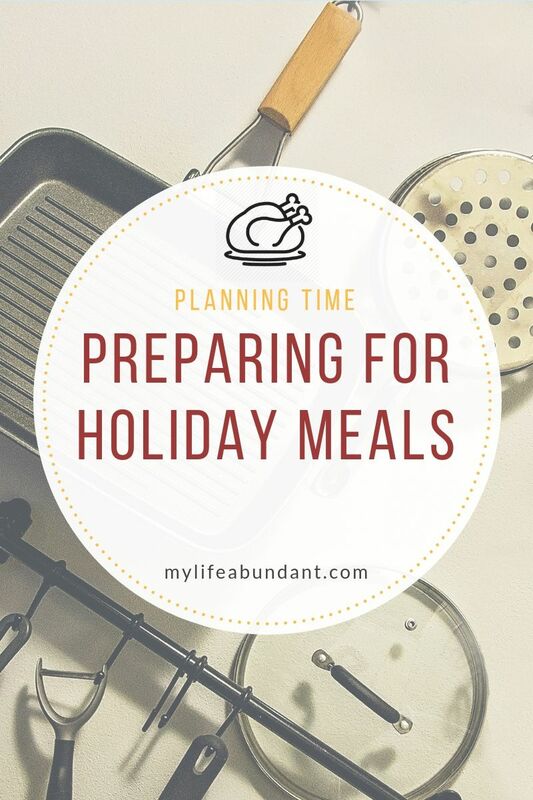 These are some smart tips for preparing for the holiday meals. I always look for ways to save time, like making dishes ahead of time! I did not know they make cookbook as well. I receive their magazine monthly and I love the ideas they provide. I love to cook and Julia Child is someone that has inspired me for years with her cookbooks and former show. Recently I’ve been purchasing copper pots to up my game! 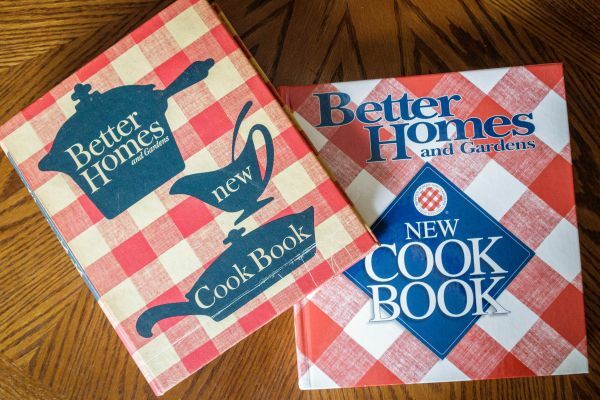 The Better Homes and Gardens cookbook is the one I used growing up It is basically how I learned to cook. The Better Homes and Gardens Cookbook is a good one. Great suggestions for prep. With the holidays so busy and going by so fast, this will come in handy. How amazing that you won second place in a baking contest! I have always been too scared to enter any of my recipes, but maybe I will now! This post is for sure for my hubby. He does all the cooking and baking anymore so I will have to link him here. He needs to get prepared! I have so many requests! Oh just in time before Halloween. I got many ideas from you as we are going to host it. Probably sharing this to the other family who will be in charge for the Holidays. This is such a great time of year. I love this time because all the holidays are coming up, and it’s great spending time with family and friends. I love how you made this preparation! I am super excited to give this a try. The holidays are such a big part of our lives. Thank you so much! Yes Holidays meal always stressful, planning ahead will reduce the stress, yes better homes and gardens books are always helpful. I really need to be more prepared when it comes to the holidays. Thanks for sharing your thoughts and ideas. I’m not the best about planning meals and this is helpful.